We walked along Eastbourne’s seafront and soon reached the “Wish Tower”. 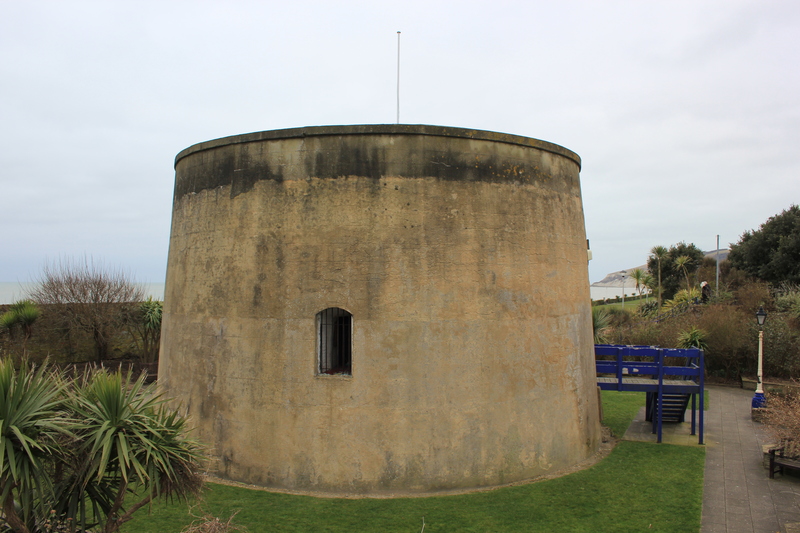 This is in fact Martello Tower #73. It has been unused for a decade or so and sits there prettily enough, but doing very little. Local groups are trying to get it put to good use, but when we passed it was still locked up. Next to the Wish Tower are the Western Lawns. In the middle of the Lawns is a statue of Spencer Compton Cavendish, 8th Duke of Devonshire. He should not be confused with another Spencer Compton, who lived 150 years earlier and who was Britain’s second Prime Minister. Having said that, Spencer Compton Cavendish was himself apparently asked to be Prime Minister on three occasions, but declined. An academic and statesman, he was a member of the Order of the Garter, the Royal Victorian Order, and Her Majesty’s Most Honourable Privy Council. He was an Honorary Colonel, Duke, Lord and Marquess. He was a Master of Arts, Doctor of Laws, and Doctor of Civil Law. He was the Chancellor of Cambridge and Manchester Universities, as well as being Lord Rector of Edinburgh University. So you see, in life he was a highly decorated fellow. I mention this because I happened to notice that in death he has become highly decorated too. Somebody should really clean the poor chap up – all the rain we have had has not really done the trick. 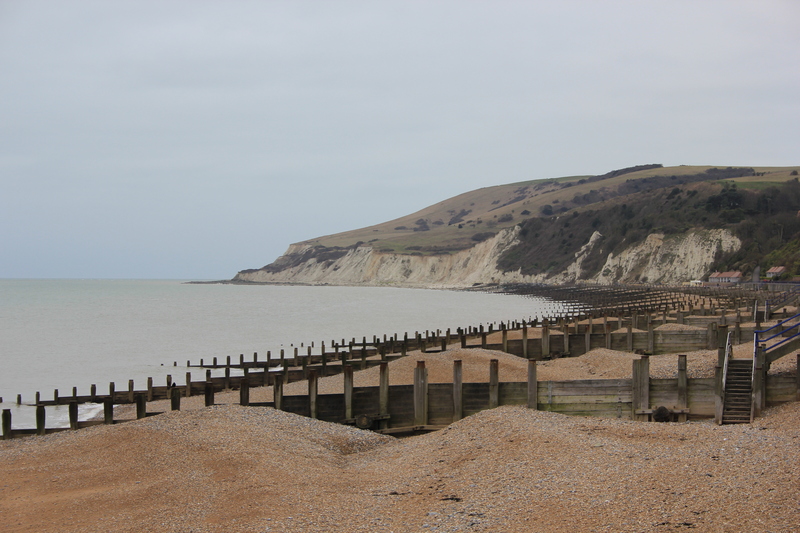 We walked down through the Lawns and onto the seafront promenade so we could get a better view of the Eastbourne Downlands ahead. 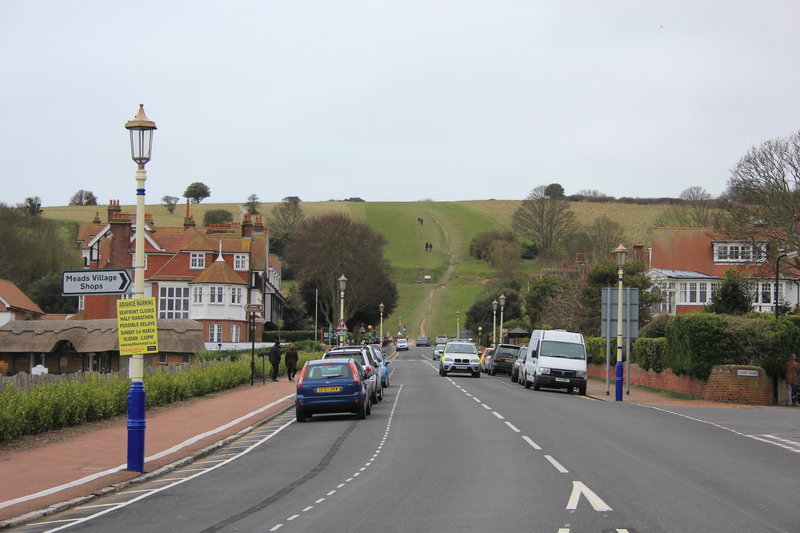 After a brief walk along the promenade it was time to cut inland, and walk up King Edward’s Parade, which led to a road named South Downs Way. At the western end of this road is the famous footpath of the same name, running approximately 100 miles west to Winchester. We could see the start of it up ahead. In fact, the grassland up ahead is the meeting point of several walking routes. 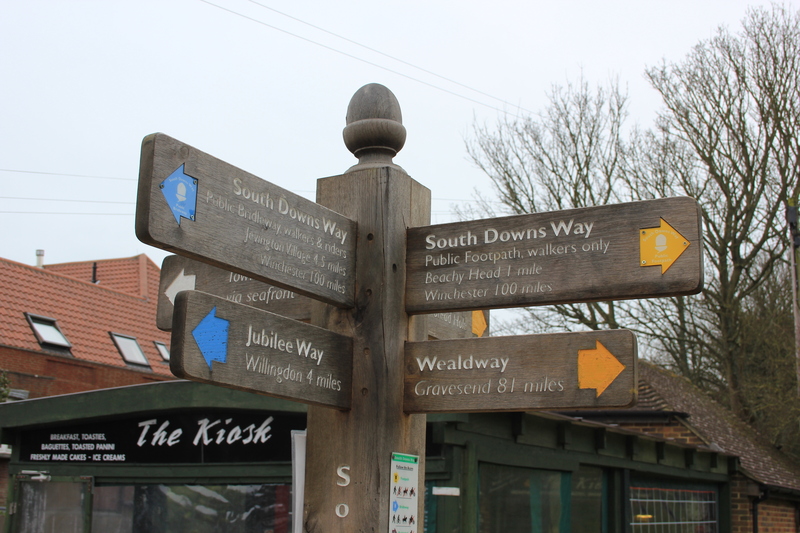 The South Downs Way, the Wealdway and the Jubilee Way all start or end here. We were heading up to Beachy Head, so headed off up the South Downs Way, in eager anticipation of what was to come. 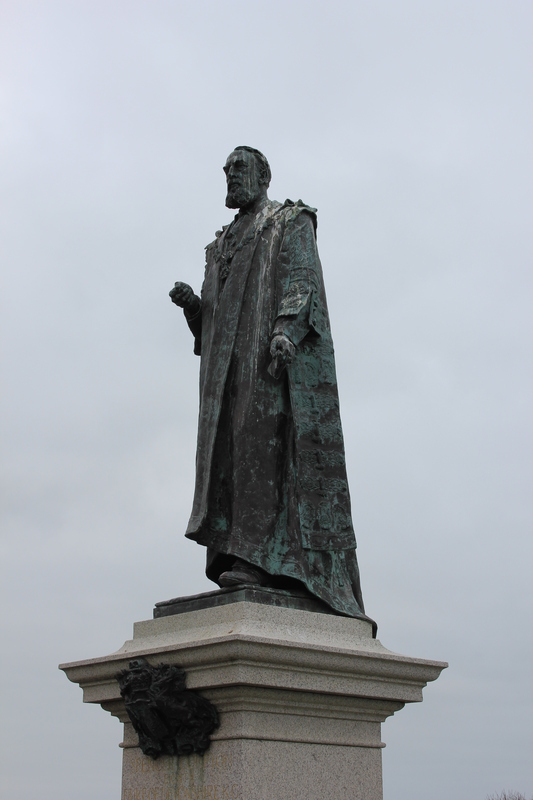 This entry was posted in East Sussex and tagged coast, East Sussex, eastbourne, guano, Martello Tower, spencer compton, statue, travel, walking. Bookmark the permalink.